Join us in Denmark for a 2-day workshop to learn how training and R&D can reduce the cost of offshore wind energy. This workshop will focus on the LEANWIND vessels and the role of simulator training in reducing risk, time at sea and ultimately cost during wind farm O&M and installation operations. You will have the opportunity to fully appreciate the O&M and installation vessels designed during the LEANWIND project and experience simulations both vessels in a variety of operational scenarios. A guided tour of FORCE’s towing tank, wind tunnels and simulators is possible for those that arrive early on the 16th November! Participation in the event will be on a first come first served basis, given the limited capacity of the simulators facilities. Please note that registrations are now closed! Thank you. How can Europeans benefit from the innovative approach of applying “lean” principles to the offshore wind farm lifecycle and supply chain? The LEANWIND project event took place on Tuesday 20 June, from 14:30 to 16:30, at WindEurope, 80 rue d’Arlon, in Brussels. It was a great opportunity to hear about growth opportunities, synergies with other sea users and market creation potential. This session addressed all those questions and presented the case study of Port of Oostende, in Belgium, as a concrete example. Delegates' feedback was sought in the course of the session and considered for integration in the further developments of the work. 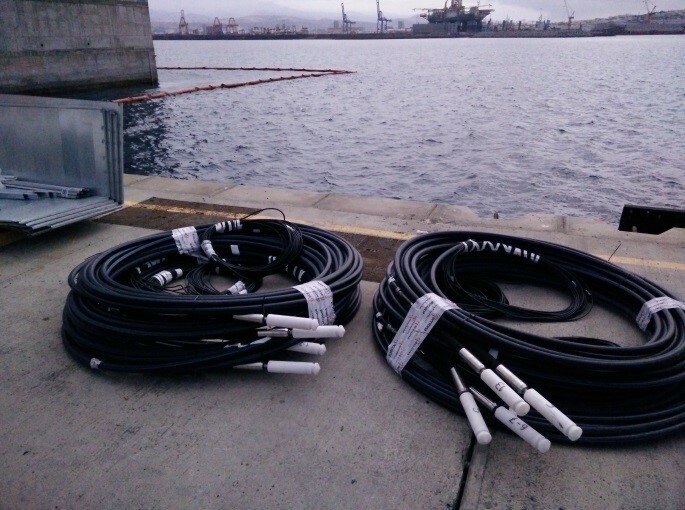 This research is carried out in the framework of the EU funded LEANWIND project. The event ended with a networking reception open to all participants, in cooperation with the ETIPWind project. The event was organised as part of the EU Sustainable Energy Week 2017.
assessment of market, environmental and socio-economic impacts of the project innovations. All of those outcomes will be presented at a wide range of relevant events across EU countries. Do not miss them and get back to us for any further information on the project developments! LEANWIND is a four-year project co-funded by the Seventh Framework Programme of the European Union. It will bring cost reductions to the offshore wind energy industry through the application of lean principles to key aspects of an offshore wind farm and supply chain. It will do so by focusing on developing innovative technologies, procedures and tools that are directly applicable and beneficial to the industry in the short to medium term. 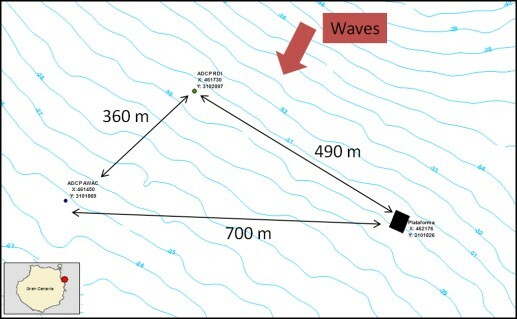 LEANWIND approach to condition and monitoring and diagnosis/prognosis of faults in offshores wind turbines: the main objective of LEANWIND Task 4.4 was the design, development and commissioning of an online system for condition monitoring and diagnosis/prognosis of faults in off shore wind turbines. The developed software is flexible enough to facilitate its use by different wind farm operators with different exploitation policies and business concepts. It also has the capacity to manage (i.e. receive, store and analyse) public and private datasets and also allows to modify over time some software pieces (scripts) to keep them updated. After a complete state of the art analysis on Wind Turbine Diagnosis and Prognosis methodologies, International Standards and internet based programming tools, the option selected was to develop a “web service with scripting and data management capacities”. 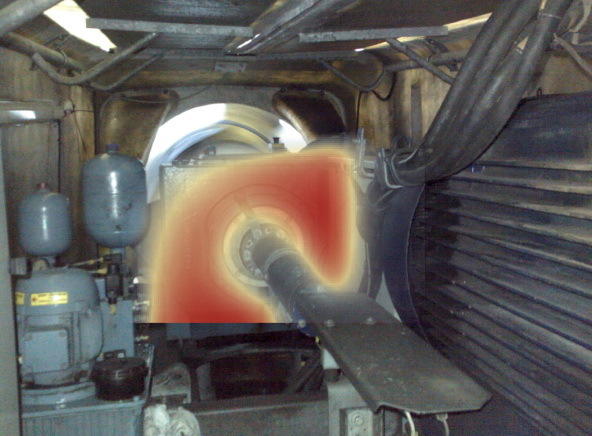 This option mixes the latest industry applicable methodologies of Fault Diagnostic and Prognostic, recommended by international standards, with the most updated advances in web services, putting together the best knowledge of the industry and the best digital technology in a unique and new software piece. 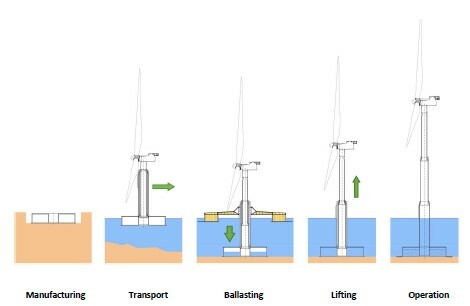 Reports describing the important characteristics of the offshore wind transportation and logistics system, defining a basis for the development of logistics decision support tools. A Geographic Information System (GIS) providing a comprehensive database of manufacturing facilities, transportation links and port locations across Europe. The results, developments and achievements of all the above-mentioned core sets of activities are brought together into a comprehensive approach that takes into account, once again, the entire lifecycle of the offshore wind farm from early logistics to dismantling and ensures transferability of results to the industry. 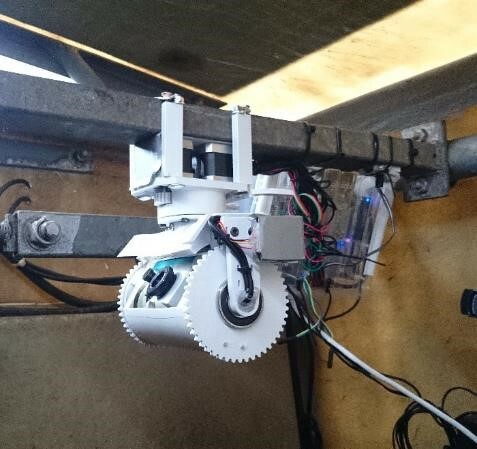 Integrated technologies and tools developed within the project need to be demonstrated and validated through simulation, field demonstration -using real full-scale projects- and case-study demonstration based on real data. This package of activities is fundamental to prove the successful applicability of new technologies and tools to the offshore wind industry. 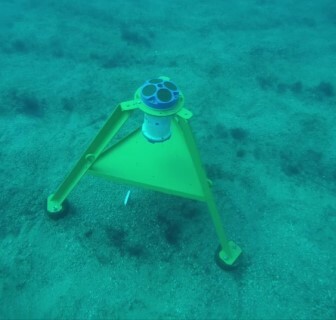 An intense schedule of trial activities is taking place until the end of the project. These activities include installation for a Gravity Based Structure, a turbine lifting system and a remote presence robot for O&M. Offshore trials based on external parallel projects have been slower than expected due to delays and difficulties in those external projects, out of the control of the LEANWIND project. Pilot installation was performed at VIVA test centre from June 2015 to January 2016. The results from this test has been analysed and presented at the EERA Deepwind 2017 conference, and is in the process of publication in the Energy Procedia journal. Factory Acceptance Test completed in March 2017 with some minor issues. 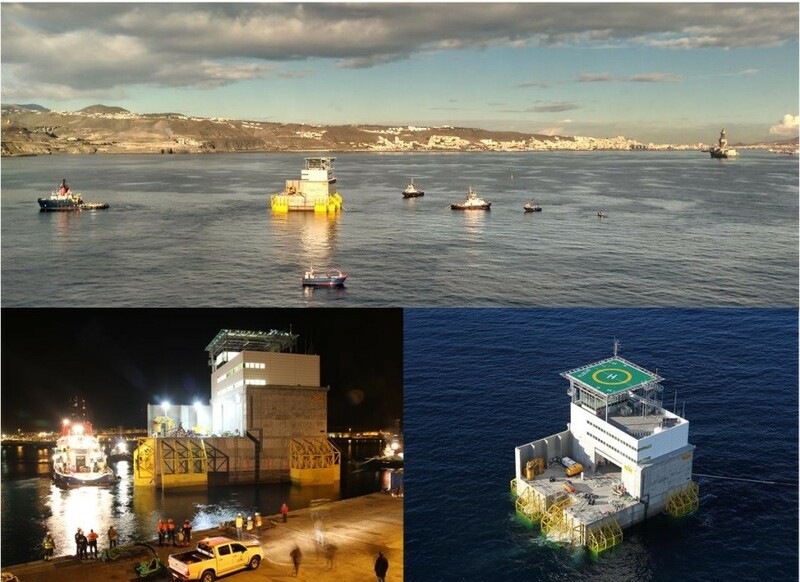 This offshore trial activity is based on a parallel project that will install a GBS offshore platform in the PLOCAN test site, in Gran Canaria. The installation of the platform was finally installed on November 30th 2016. Installation of pressure measurement sensors on GBS walls and bottom. 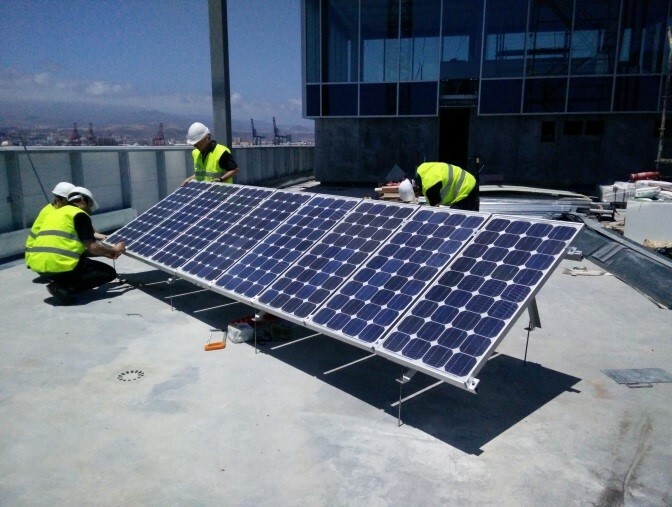 Planning and installation of the solar panel energy system. Installation and testing of the acquisition data system (redundant system, two different portable hard drives). Configuration of both communication and data acquisition systems to obtain data wireless. The analysis of the data acquired between June and August revealed errors associated to six of the eight pressure sensors installed in the base slab of the caisson (problem is being fixed). 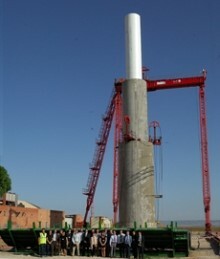 Supervision of the GBS construction and commissioning. 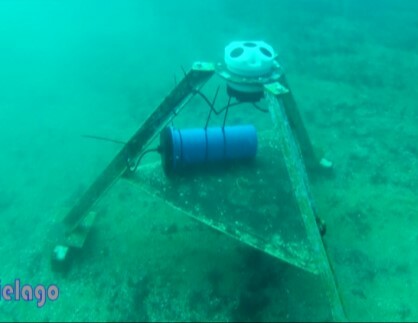 Installation of 2 ADCP to measure the wave profile at the caisson location to correlate wave pressure at the GBS with wave heights. A relevant collaboration with the H2020 ELISA and ELICAN projects has been developed during this period. Both projects can share tools and validation data based on real offshore trials to be performed on the ELISA full scale demonstrator. The H2020 ELISA and ELICAN projects are coordinated by ESTEYCO. The aim of the projects is the construction and installation of a new self-installing self-buoyant telescopic foundation for a 5MW offshore wind turbine. 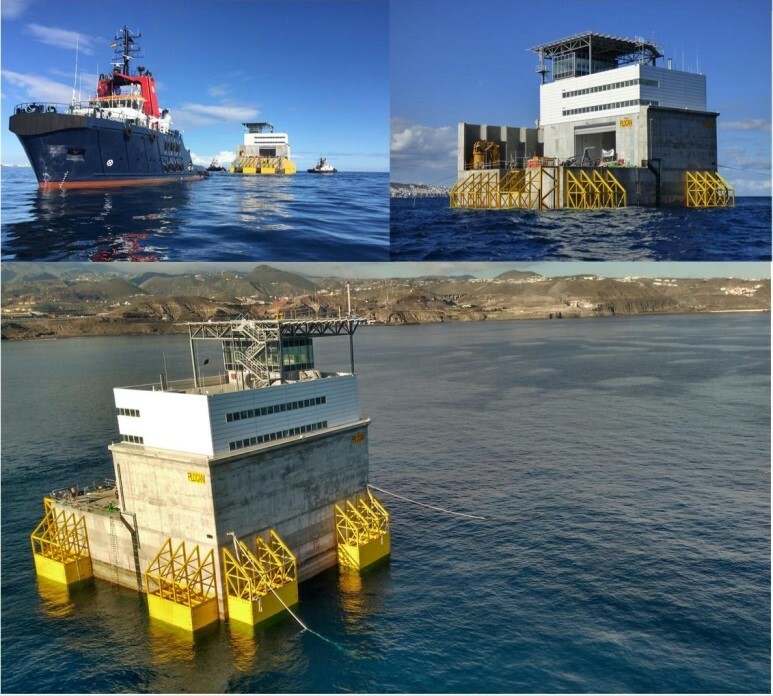 The GBS has already been constructed at the Canary Islands, the tower and floater are in fabrication process and the 5MW wind turbine in process of delivery. 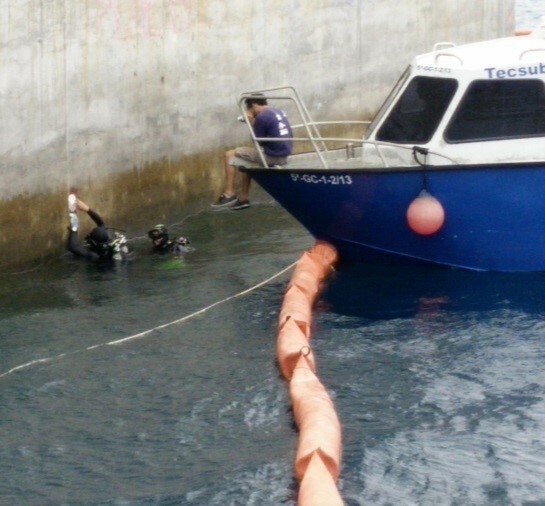 The expected installation date is mid 2017 at the PLOCAN test site. The new results achieved by the project need to be placed in an economic context. 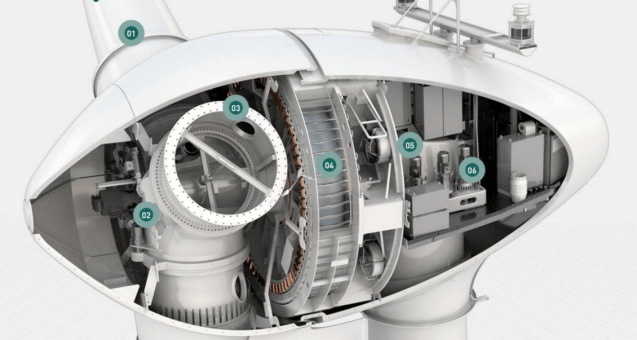 LEANWIND demonstrates that system optimisations and technology innovations have direct cost-saving benefits from which the whole wind industry will benefit. Offshore wind business and economic models that may encourage new sources of investment need to be examined. Moreover, the aim of the Economic and Market Assessment phase is to develop an implementation strategy that will ensure LEANWIND’s solutions to be effectively implemented. “Assessment of existing market impact and market creation potential of project innovations” (D8.4) - The LEANWIND project has generated innovative solutions for the offshore wind energy market to achieve its objective of cost-reduction in the industry. This report assesses the extent to which these innovations meet the requirements of stakeholders in the industry and, using attribute matching, assesses the extent to which innovations add value in the most critical aspects of the use or buy decision. This is achieved using a survey of industry stakeholders. "Innovative solutions for an efficient wind farm supply chain", 6 June 2017, Capital Suite Room 16 (level 3) side event at Offshore Wind Energy 2017, 6-8 June, London, UKThis event will provide examples of innovative technologies, such as new vessel designs and novel substructure concepts, with the aim of improving the efficiency of the offshore wind farm supply chain and making it more cost competitive with traditional forms of energy. The project’s Industry Advisory Group (IAG) is informed about the project's progress and gives advice throughout the whole project lifecycle. The IAG has provided so far very useful feedback on the direction of the research, helping to ensure that the focus is always industry relevant. The IAG consists of Statoil (Norway), Statkraft (Norway), Siemens (Germany), Senvion (Germany), The Crown Estate (United Kingdom), Mainstream Renewable Power (Ireland) and DNV Kema (Norway). Very relevant feedback on the project outcomes is also provided by members of WindEurope’s Offshore Wind Working Group, composed of relevant stakeholders active in the offshore wind sector. The LEANWIND consortium is happy to invite you to the first Stakeholders Showcase event "Cost efficient offshore wind logistics - The role of ports in a lean supply chain for offshore wind". The event will take place in Hotel Andromeda, Oostende, Belgium and will showcase how ports can contribute to optimising the supply chain for an offshore wind farm. Notably, it will present project work to improve on-land and port logistics as well as innovative turbine and foundation installation strategies. A boat tour of the port installation, training and O&M facilities (14:40 - 16:30) will allow the participants to get a little taste of the functioning of an offshore wind park and concretely evaluate the added vale it can bring to harbour authorities and the local communities. Participants arriving the night before are also invited to a drinks reception (18:00 - 19:00, Hotel Andromeda - C-Bar Piano Lounge) and a dinner (19:00 - End, Ostend Queen, Kursaal Weshelling 12 - 8400 Ostend). More details on the event agenda. Check here for any accomodation suggestion. Kindly note that participation is free of charge. We would appreciate it if you could register for logistical purposes. This is a floating wind energy platform being tested in the Lir National Ocean Test Facility, MaREI, UCC, Cork, Ireland. The wave conditions shown are some of the worst that can be expected off of the west coast of Ireland. The little man on the front leg would be 6 feet or 182 cm tall at full scale. More information in the Events Page. Workshop: ‘Reliability Data Collection and Maintenance Modelling Methods’ (IEA Task 33). Berlin, 23 September 2015. Check the programme of the event here. Participation is upon invitation only but feel free to contact the LEANWIND Consortium for any queries you may have.